From the New York Times bestselling author of $100 Startup comes this accessible guide to building a side business from scratch - without having to give up your day job. Side Hustle is about much more than just making some extra cash; it’s about freedom and job security in today’s unstable business environment. That’s because when you receive income from multiple different sources, you are no longer dependent on the whims of a single employer. It affords you choices and options. In the style of $100 Startup, full of practical exercises and peppered with inspiring stories, Side Hustle shows readers how to brainstorm, choose, implement, launch and refine their side business in just 27 days – with little to no budget and without having to quit their current job. 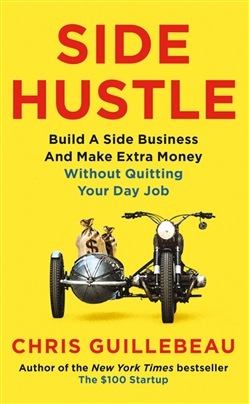 Acquista Side Hustle in Epub: dopo aver letto l’ebook Side Hustle di Chris Guillebeau ti invitiamo a lasciarci una Recensione qui sotto: sarà utile agli utenti che non abbiano ancora letto questo libro e che vogliano avere delle opinioni altrui. L’opinione su di un libro è molto soggettiva e per questo leggere eventuali recensioni negative non ci dovrà frenare dall’acquisto, anzi dovrà spingerci ad acquistare il libro in fretta per poter dire la nostra ed eventualmente smentire quanto commentato da altri, contribuendo ad arricchire più possibile i commenti e dare sempre più spunti di confronto al pubblico online.